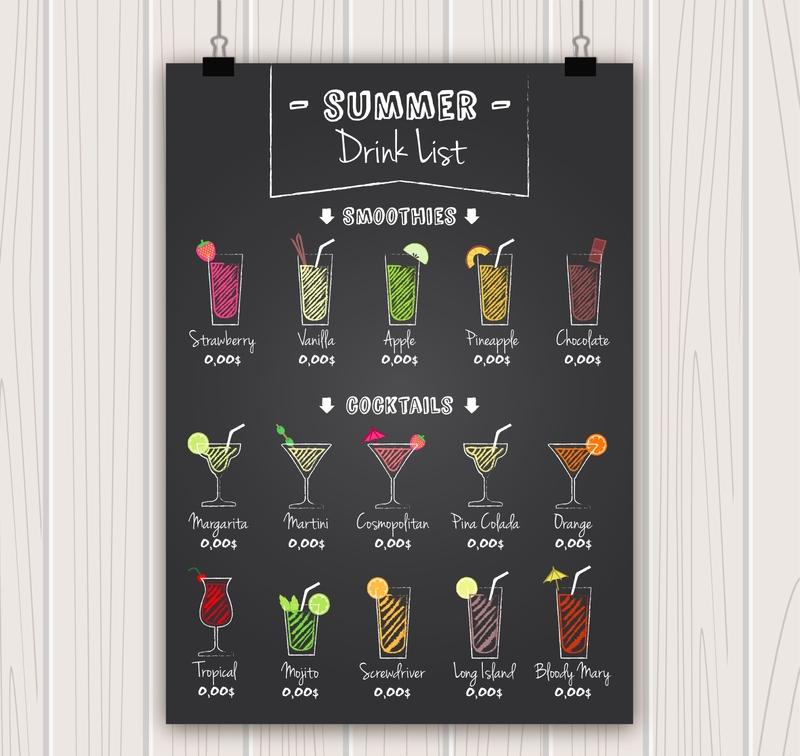 Are you considering creating your own drink menu but are quite confused about what to design or what to include in your drink menu? Try to ponder more and contemplate on what really you want to place in your menu designs. Nowadays, restaurants, cafeterias, bars, diners, shops, and all other food hubs are expanding more and more, and many people are getting interested in engaging in a similar business. Competition is really tight for this type of industry, and having a little edge over your competitors is what you most need. But how? Of the many factors to consider for an advantage over your competitors, one is having an alluring menu. In a restaurant menu or cafe menu, drinks are not really segregated from all the other food since drinks are just a small part of the whole thing. But for industries that mainly serve drinks, the drink menu is in the spotlight. What Are the Usual Drinks that a Food Hub Can Offer? Drinks can be categorized into two broad categories—alcoholic and non-alcoholic. Water – This may include your service water or bottled water. For bottled waters, it may be spring, purified, mineral, or distilled water. Milk – This includes whole milk, skim milk, chocolate milk, buttermilk, and raw milk. For meticulous people, this can be narrowed down into filtered milk, organic milk, prebiotic milk, evaporated milk, condensed milk, etc. Milkshakes are also popular in cafes and restaurants. Tea – Typically, the types of tea are black, dark, oolong, green, white, and puer tea. Food hubs would also usually offer iced tea and fruit tea. Coffee – This encompasses cappuccino, americano, espresso, macchiato, mocha, latte, ristretto, piccolo latte, affogato, and much more. Cold coffee is also served in some shops. Chocolate – There is an unending list of this drink, but the most typical examples are chocolate shakes, pure hot choco, iced choco, and others. Soda – There are innumerable sodas around the globe these days. Soda drinks, or commonly associated to us as soft drinks, are drinks that contain a carbonated water, sweetener, and flavoring. Most of us already know this drink. This is available ubiquitously in almost every store. Juice – This can either be artificial or real fruit juice. It comes in many flavors as every fruit can be processed into juices. Some juice flavors can be mixed together since they are complements of each other, while others can stand on their own. As the context itself, alcoholic drinks are those drinks that have alcohol content. The alcohol percentage can range from 5% to 40%. Although alcoholic drinks are considered widely as recreational drugs, many establishments are offering this kind of drink since many people are fond of hard drinks and this is very popular especially during the different occasion. Alcoholic drinks encompass the following. Beer – This includes ale, fruit beer, wheat beer, among others. It is one of the oldest beverages and is typically favored by many, no less since it has also been said to have health benefits. Its usual alcohol percentage is about 4% to 5%. Wine – Just like beer, wines are also among the oldest beverages. Usually, it comes from fermented grapes. It has an alcohol percentage of 11% to 12%. Some of the wines that are known widely are fruit wine, sparkling wine, and fortified wine, and come in varying white or red types. Spirits – This is also commonly known as liquor or hard alcohol. These drinks are considered the most potent form of drinks as their alcohol content may exceed up to 40%. Gin, tequila, vodka, and whiskey are the most commonly known spirits. This type of design is quite rare to most of the restaurants. 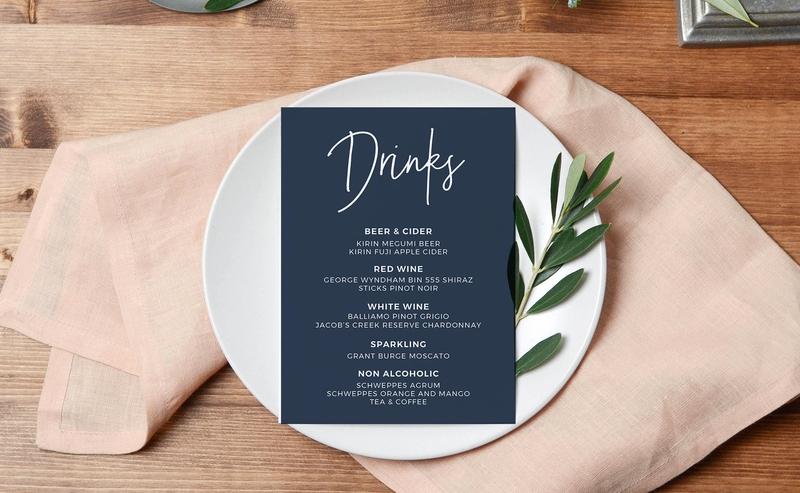 It is a modern-type menu that features modern type of calligraphy on its text along with the watercolor-designed graphics or images of some food menu. Although this is not that very formal, it is preferred for its eye-catching design through the use of loose colors irradiating from the watercolors. The effect is great if the menu is intended to have a colorful and playful ambiance. 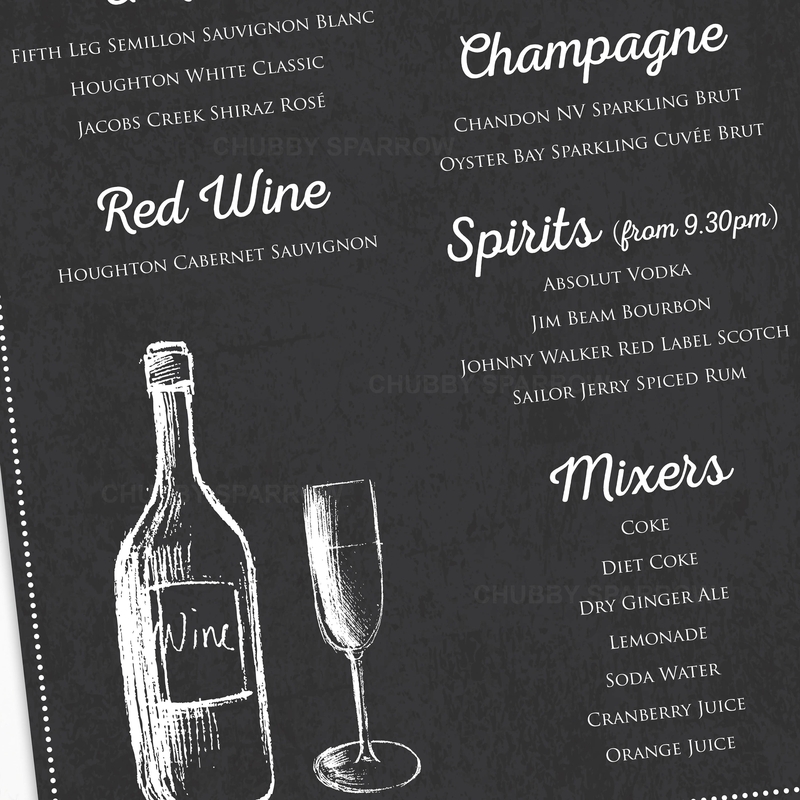 Classic drink menu is what we typically see in the restaurants as its designs are simple yet elegant. It has a cozy effect that can make the place cozy, too. 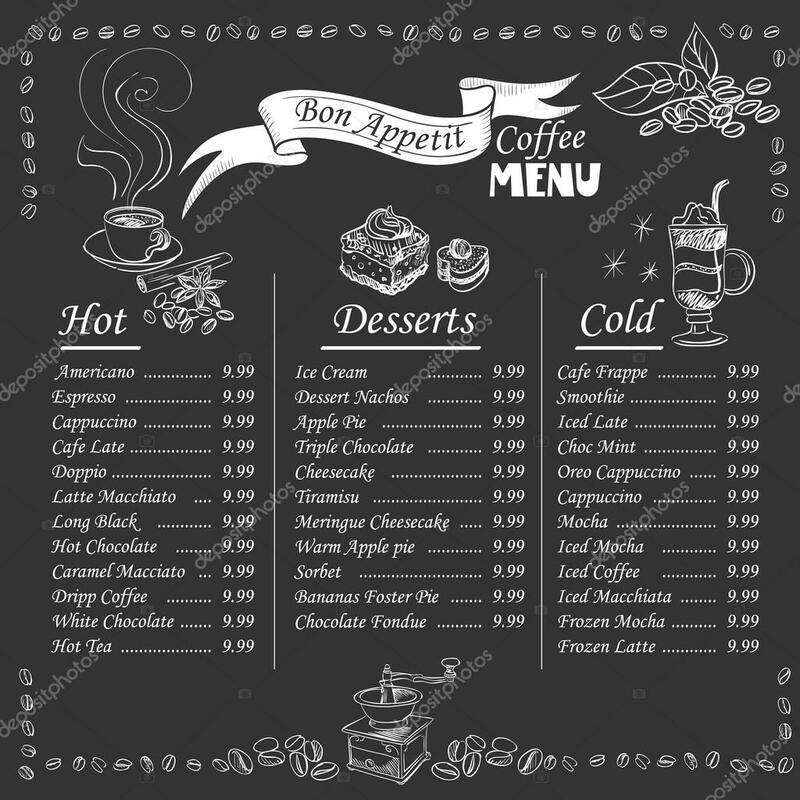 You might want to consider this kind of menu if you are having a business with a wide range demographics of customers as the design is flexible and can fit into almost everyone’s taste. Coffee drink menu ordinarily comes with desserts like cupcakes and doughnuts. Food similar to these can be a perfect complement to coffee. So these food are incorporated into the menu and the design. 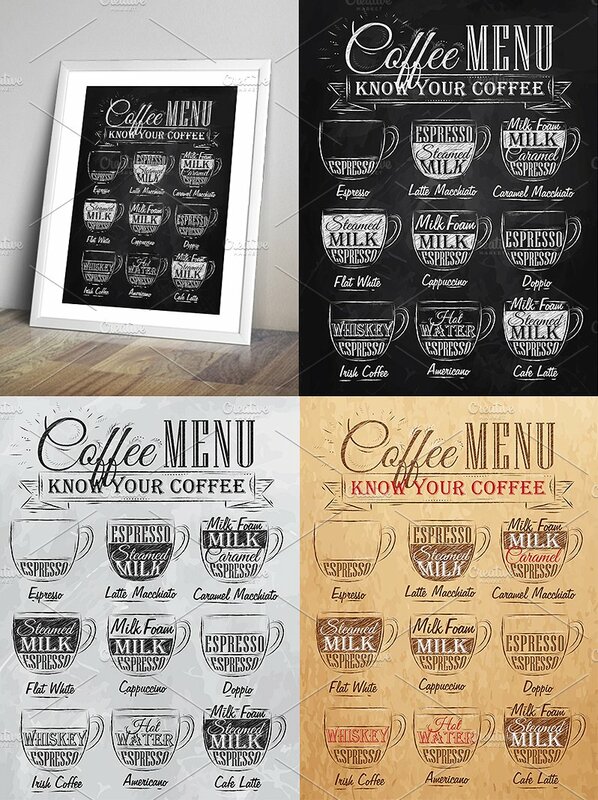 We always want our menu to be presentable; having complements to the coffee can be very suitable to your design. But don’t forget to to put your main food on the spotlight. While other menu includes complements to coffee, you can also design your menu with just only coffee. Coffee designs can stand alone, and it might be pleasing to the eyes if arranged neatly and properly. It’s just a matter of presentation and design really. 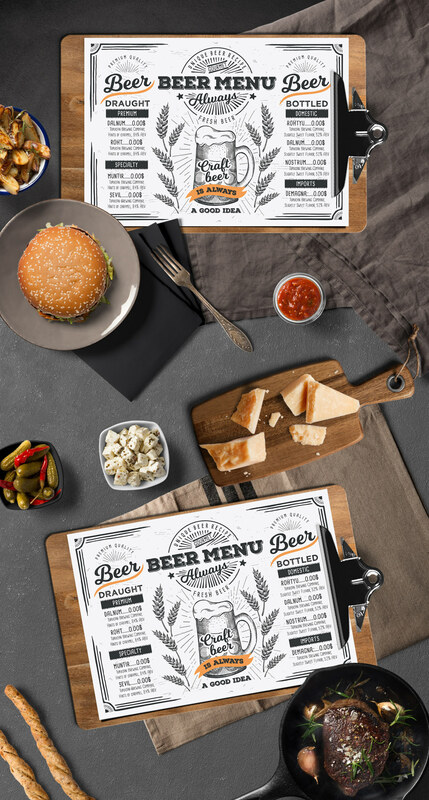 This menu showcases beer products. Just like any other menu, be artistic and unique as you can. You can pick a design of your choice, but just make sure it won’t be bothersome to your main text. Just layout it as simple and as elegant as possible. Unlike the beer menu samples discussed above, fruit-designed drink menu contains really colorful designs of fruits. 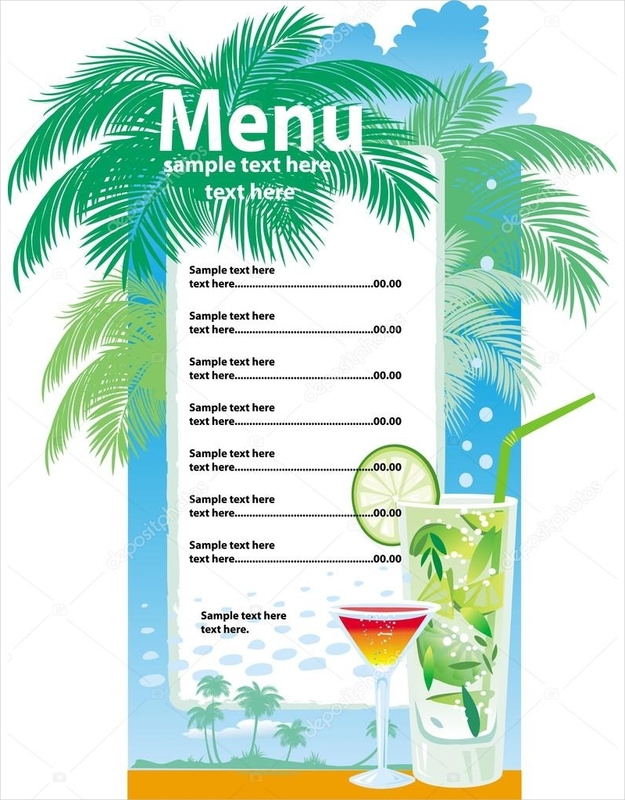 This sample menu is not quite suitable for hard drinks but would most likely accentuate menu for juices, smoothies, salads, etc. And look! You can include add-ons, too! An add-on is something that is added to the main food to enhance the thing. For example, chocolate toppings can be an add-on to your shake or smoothie. Some menu can be designed just like a brochure. Aside from folding the paper twice (as in the bi-fold design), it can also be folded thrice (tri-fold brochure), or you can create as much folds as you want but make sure to retain its readability. You can refer to the image for the design or you can create your own personal design. This menu displays cocktails as its main drink. 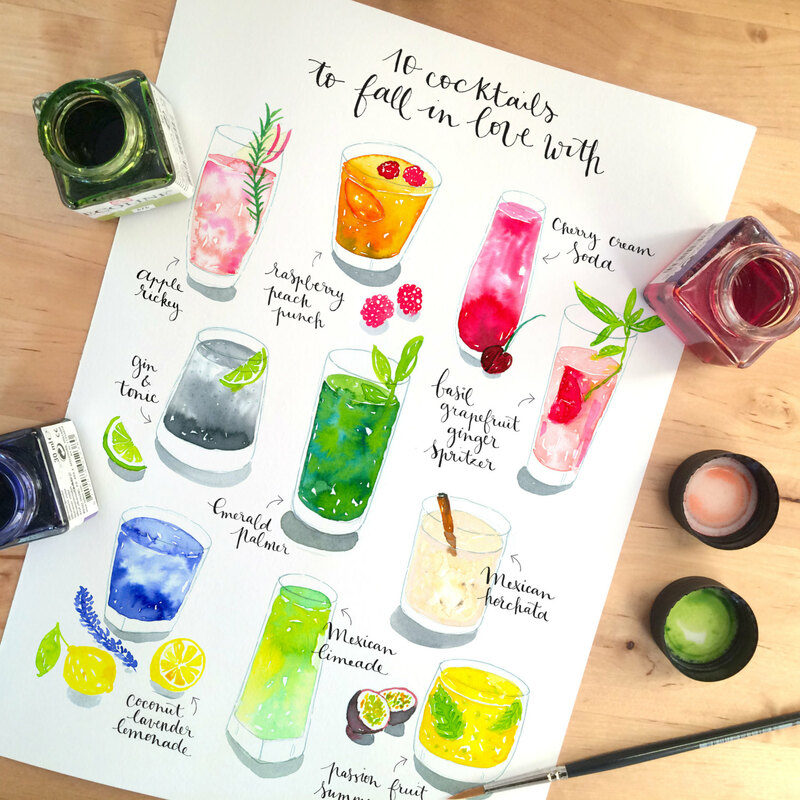 Cocktails can be generically referred to as an alcoholic mixed drink. It can be a mixture of two or more drinks, with one drink that has an alcoholic ingredient. So basically, every restaurant can have their own unique mixture or cocktail. The photo is a good example of a well-arranged cocktail menu. If you are considering to have your chalkboard menu designed with chalk, just make sure that it won’t be erased immediately. Quick tip: you can use a chalk pen; it is more permanent than the traditional chalk (although you can use a fixative to make the chalk stick to the surface). Some would prefer it to be printed, but the output is not really the same as the handmade one. Either way, you can choose your own design that satisfies your taste. You may also use colored chalks to make it more appealing especially if you are offering drinks that include juices, shakes, smoothies, milk tea, chocolate drink, among others. You can make it as playful as you want. 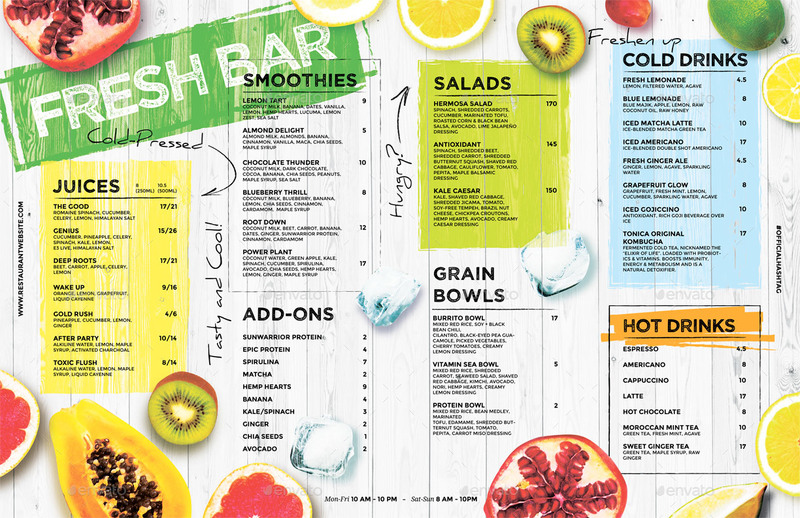 This type of menu presents their design in a way that has a summer ambiance. This is typically used especially by restaurants offering drinks other than hard drinks, although hard drinks can also be included in the menu. The designs usually used are summerish—palm trees in beaches. 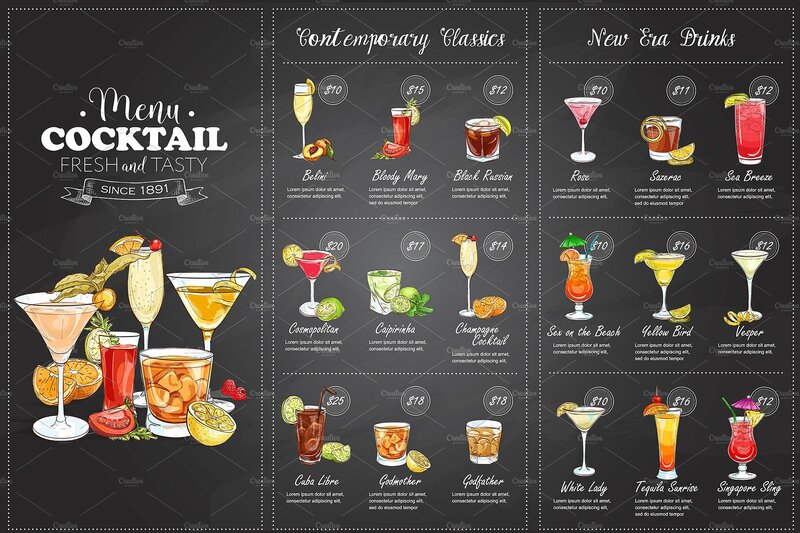 What Is the Importance of Having a Drink Menu? The very core of your menu is the list of items that you can offer to the customers. 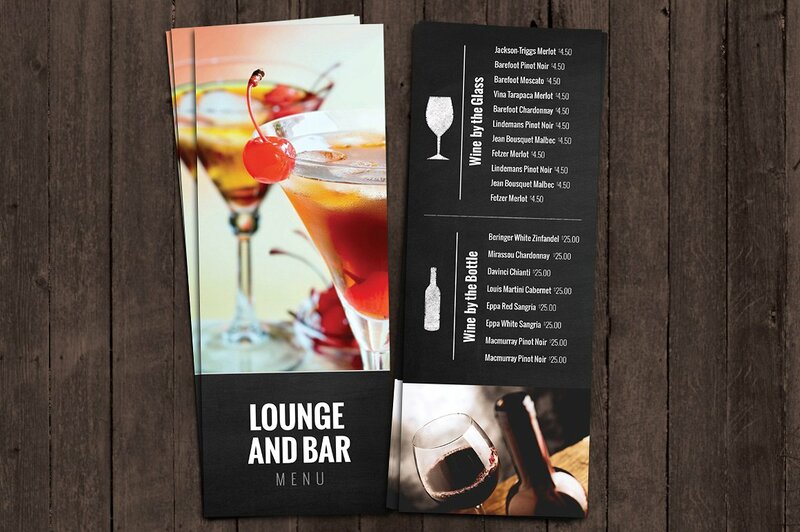 Having a menu is of great help to the customers as they will have something to scan on if they are looking for something or they can pick their own choice based on the list. So basically, menus are guidelines to the people on what they are going to order. And don’t forget to design your menu well! Choosing or creating menu or laying out a drink menu may be challenging, but I know that you can achieve what you want to achieve if you will work on it. Hopefully, the samples presented above can help you in your start or can enlighten you in your revisions for your menu. Just work on it patiently and everything will go according to what you desire!